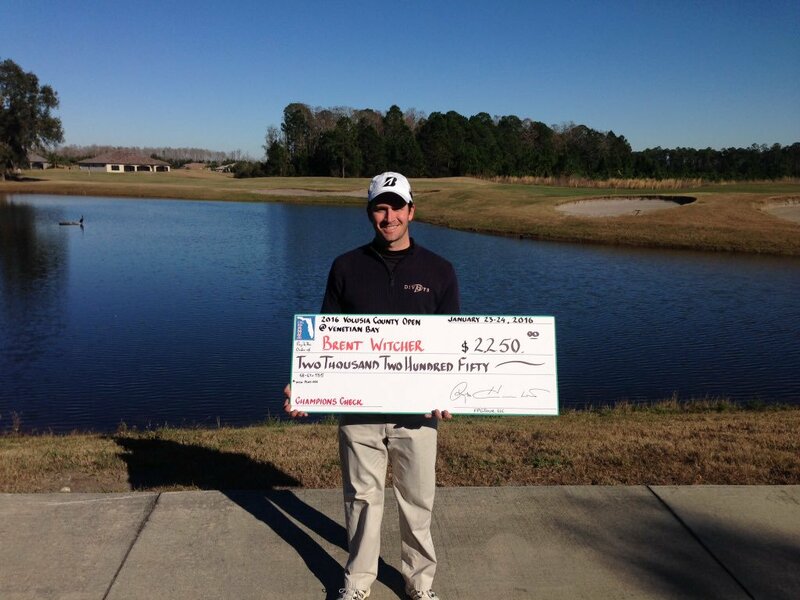 Divots Golfer, Brent Witcher, fired rounds of 68-67 to finish in a tie with Randall Hutchison at 9 under par despite the cold and windy conditions at the Florida Professional Golf Tour event held at Venetian Bay Golf Club in New Smyrna Beach, Florida. The pair headed to the par 5 first hole for sudden death. In the end, Witcher came out on top needing only a par to claim the Championship. Congratulations to Brent on his latest victory!